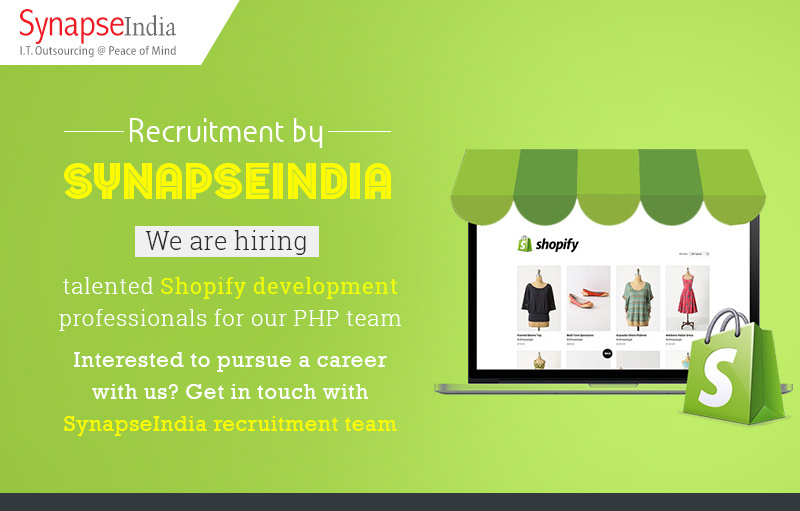 SynapseIndia recruitment team is hiring for creative & innovative spirited minds to join our Shopify development team at Noida office. We look for self-motivated candidates who are right fit to our culture and value system. You must be highly analytical with a good working knowledge of the Shopify eCommerce platform. Being a global leader IT company, offering top quality services to our prestige clients is our top priority. Our highly proficient team of Shopify eCommerce developers is capable enough to turn your ideas into reality. To know more about SynapseIndia recruitment process & campus placement drives, visit our career portal.